Located at 280 Union St., the Rochester Public Market has been around since 1905, though it has moved to multiple different locations. It is a great place to find bargains on tasty local items like fresh apples, apple pies, cider – which surprisingly needs 36 apples for just one gallon – and a wide variety of other produce. It is open every week of the year on Saturdays, Tuesdays, and Thursdays, and hosts lots of special events and guests. Open only on Wednesday nights from June to October, the Monroe Village Farmers’ Market might not be as well-known as the larger Rochester Public Market. However, it features all kinds of delicious items that make it a top public market Rochester has to offer. In addition to local produce, it gives guests the option to buy fresh delicious pizzas, ice cream, and even items like cosmetics and jewelry. Because of that, Rochester public marketing at the 730 Monroe Ave. location that was established in 2008 can be a lot of fun. 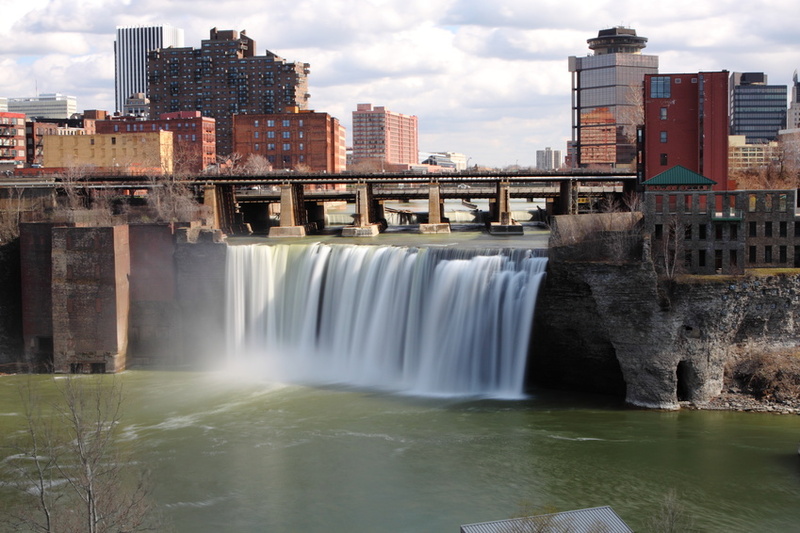 One of the advantages of living in Rochester is that residents are not limited to only events and activities that are held right within the city. With just a short drive, you can get beyond Rochester farmers markets and head to nearby towns like Fairport, Canandaigua, and Pittsford, where the Powers Farm Market is located. It was originally opened as a small truck stand in the 90′s, but the market is now open seven days a week and offers a lot more than just apple pies. Every season is different, and you can enjoy everything from hayrides to a petting zoo, making checking out Powers Farm Market a great place to spend an afternoon. Kathy Wafler Madison peeled the largest recorded apple peel in the world in October of 1976. This should come as no surprise considering the fact that apples and apple products from the region are so tasty. While grocery stores will load up with them, visiting a public market Rochester hosts might be the best way for you to get fresh, local produce in a fun and relaxing environment.